Angel J. Mulkay, MD, is board certified in cardiovascular medicine. Dr. Mulkay founded Mulkay Cardiology Consultants more than a decade ago and has recently established the Hackensack Interventional Institute. He is also co-founder of Hackensack Vein Center, which offers state-of-the-art laser therapy for venous diseases. Dr. Mulkay specializes in interventional cardiology and preripheral interventions. Dr. Mulkay is Director of Holy Name Medical Center's Cardiac Catheterization Laboratory. He has paved the way in Bergen County for performing radial arterial catheterization. A leader in the field, Dr. Mulkay is involved in numerous national and international research studies and has also authored various medical journal articles. Dr. Mulkay earned his medical doctorate degree from the Universidad Central del Este in the Dominican Republic. He completed his residency and fellowship in cardiovascular diseases and a fellowship in interventional cardiology at Saint Vincent's Hospital and Medical Center of New York and New York College. 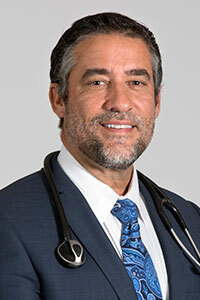 Dr. Mulkay is a member of the American Medical Association, the Society for Cardiovascular Angiography and Interventions, and Fellow of the American College of Cardiology.